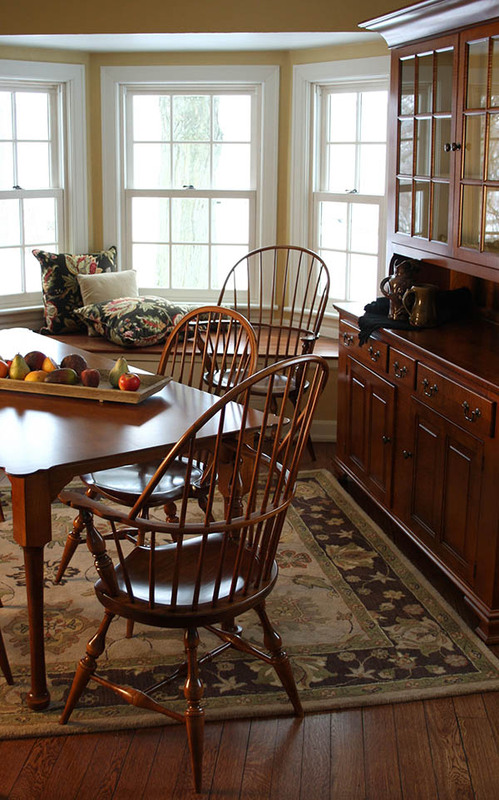 If we were to ask, what room of the house holds the best memories for you? 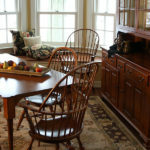 Most of us would say the kitchen because it is where we connect with our families. 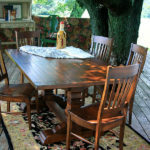 It is where we gather to give thanks for all our blessings, to celebrate birthdays, to bake those secret family recepies passed down from our grandmas. 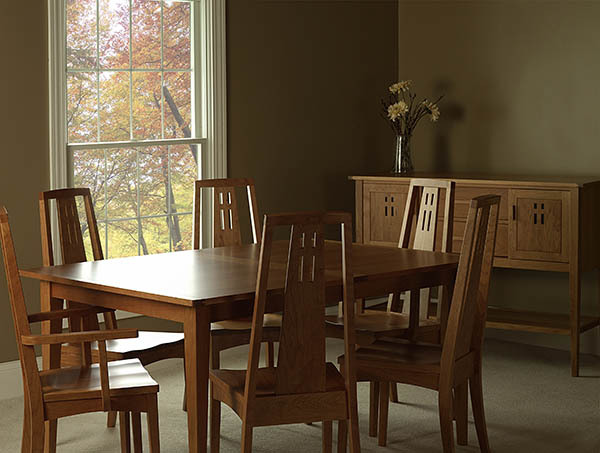 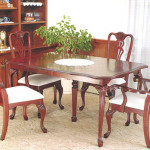 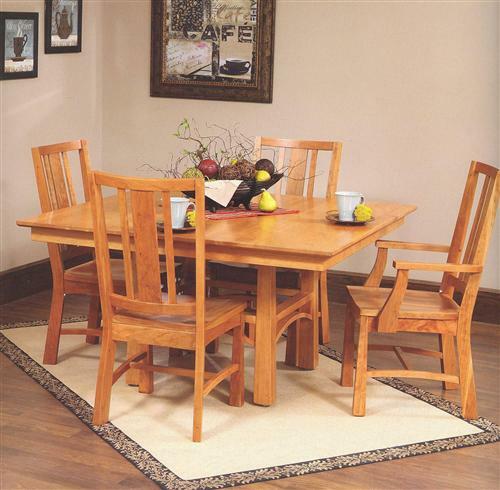 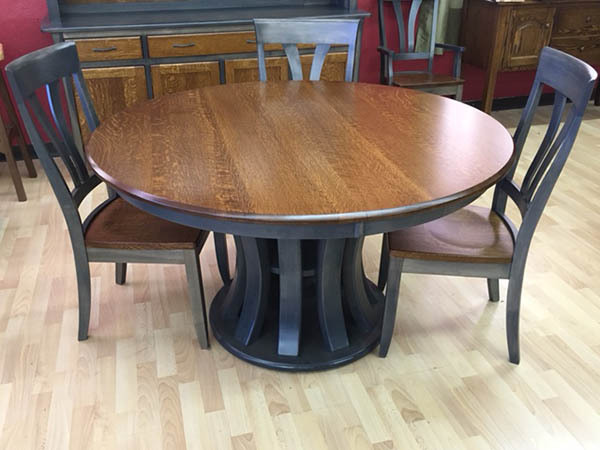 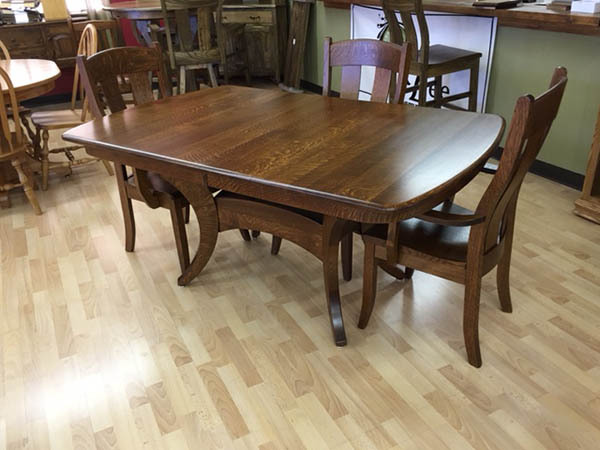 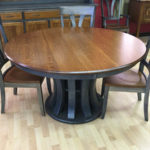 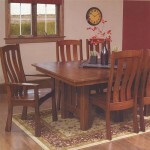 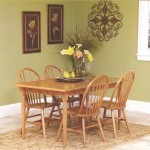 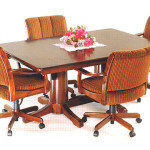 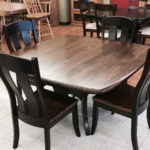 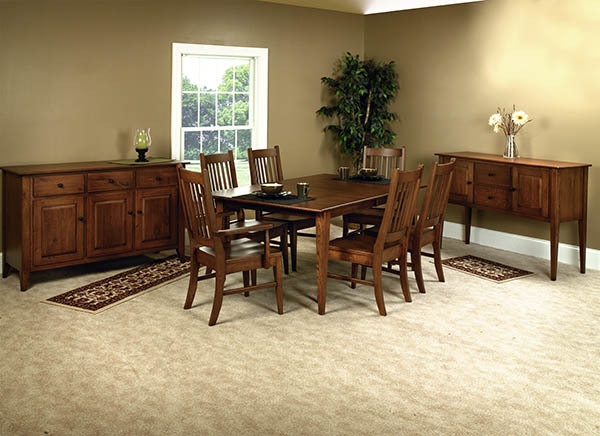 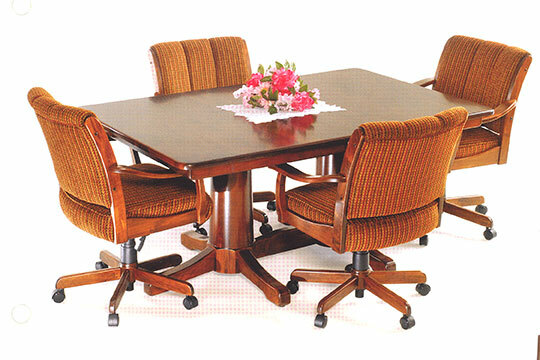 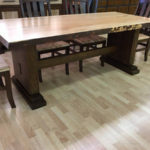 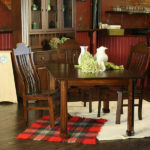 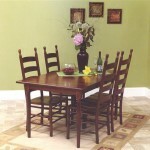 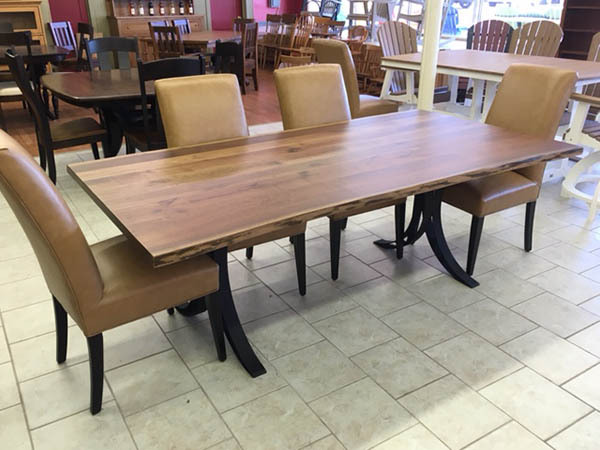 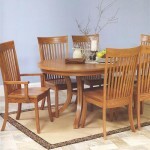 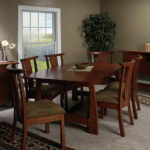 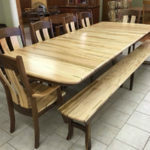 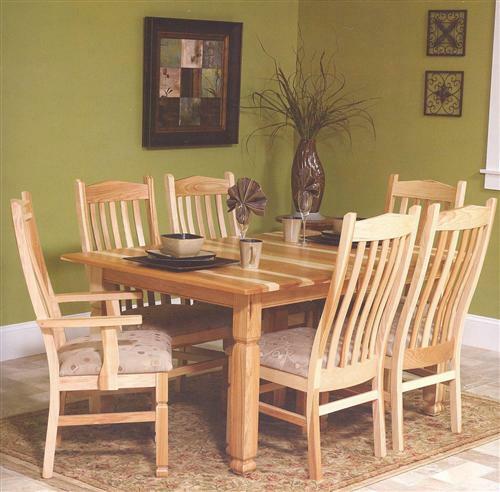 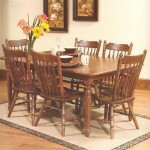 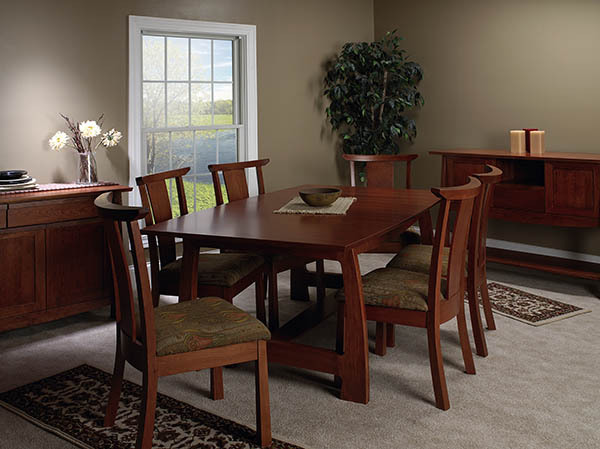 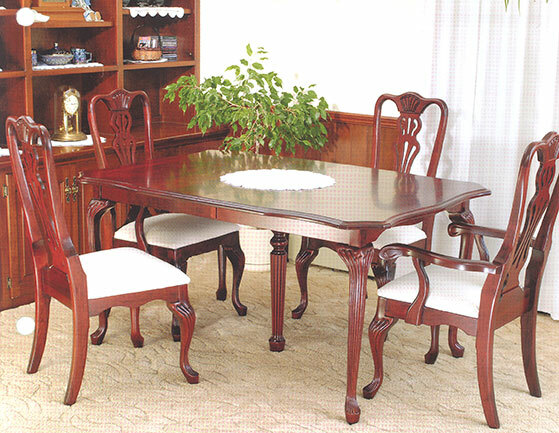 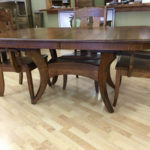 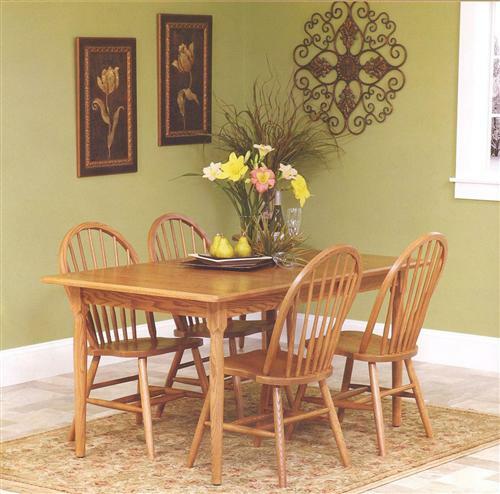 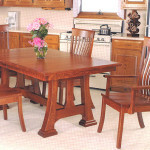 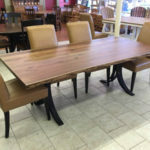 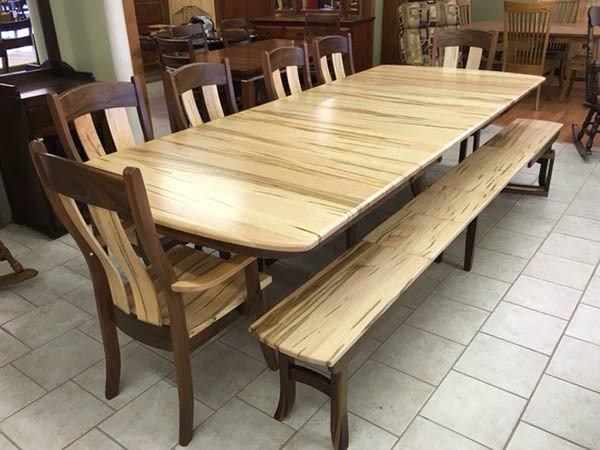 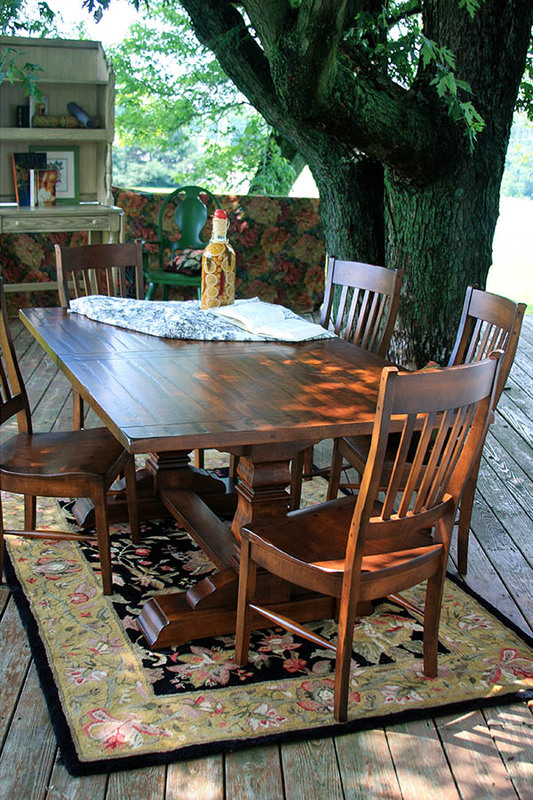 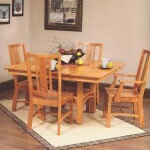 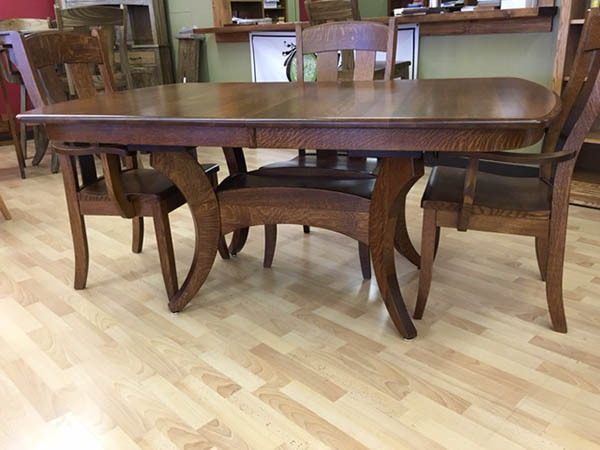 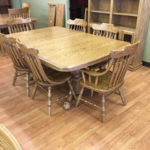 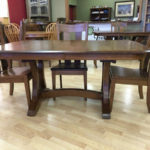 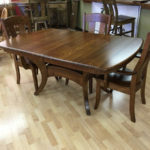 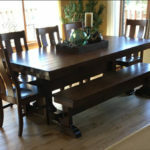 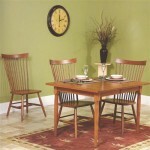 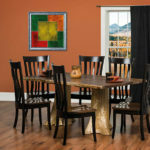 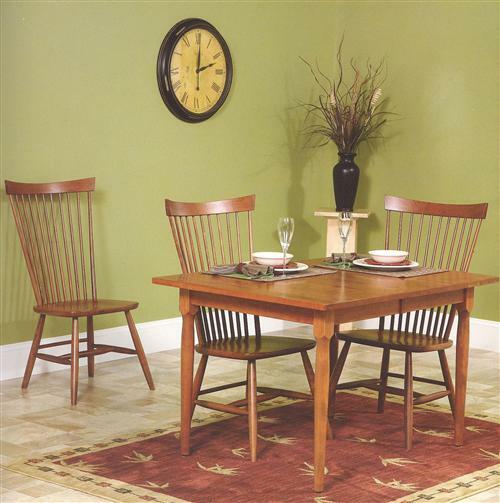 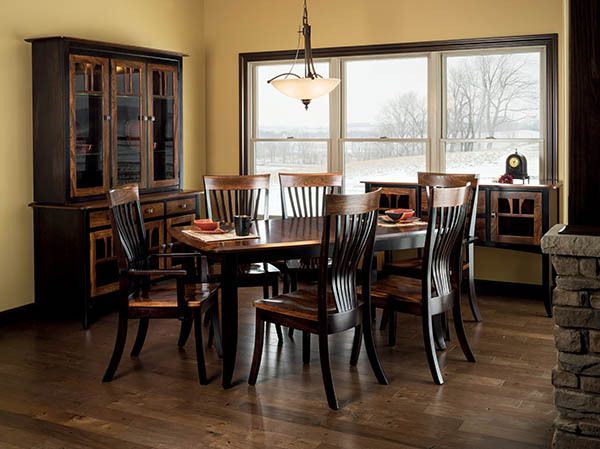 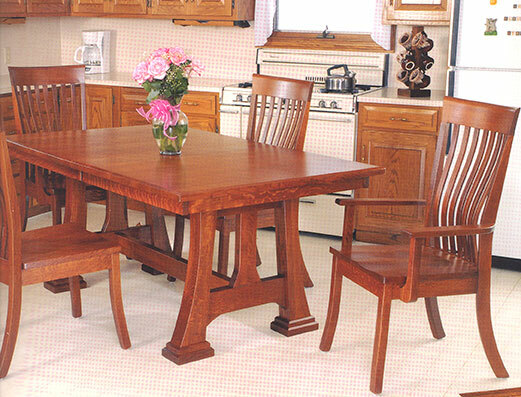 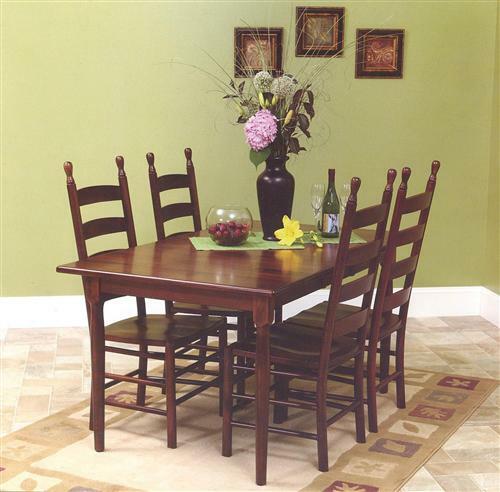 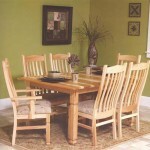 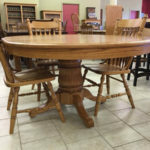 One of the most common things that we hear when customer are looking for a table is,”we want a table that can seat our whole family when we get together.” We can help you choose a table to seat your entire family during gatherings no matter how big they are, and when you don’t need that big table it will self store the leaves inside to seat only four to six. 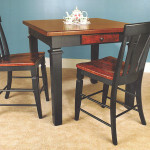 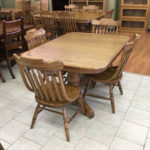 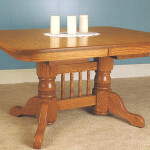 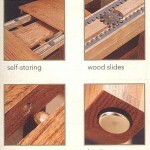 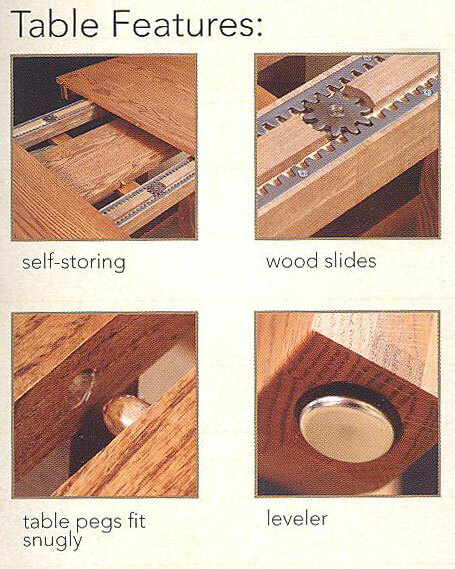 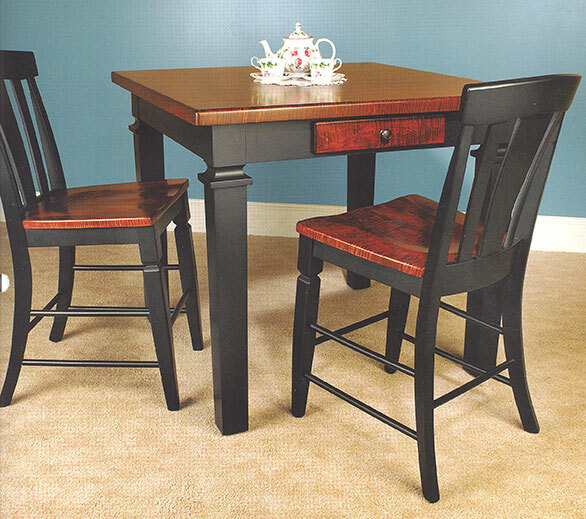 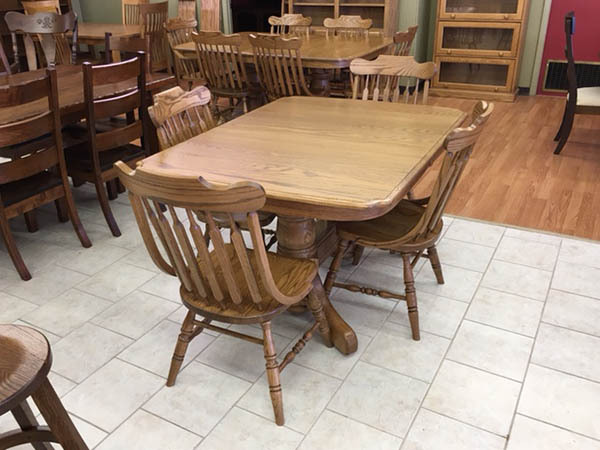 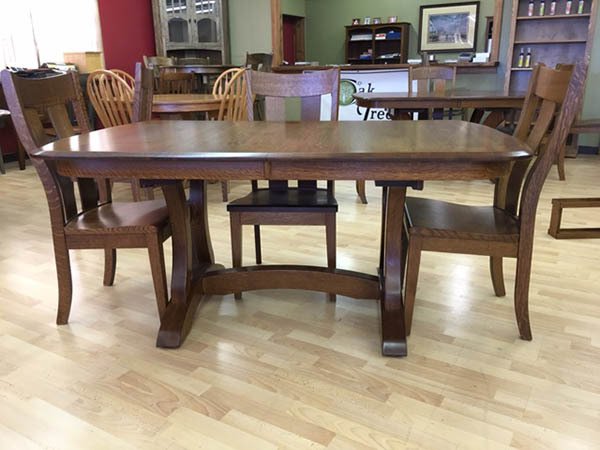 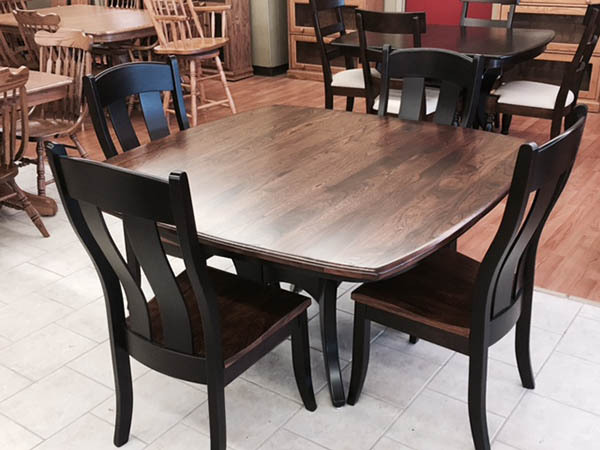 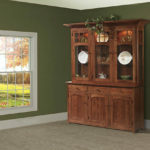 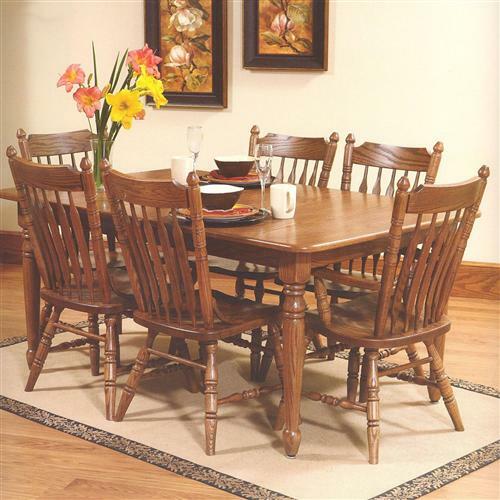 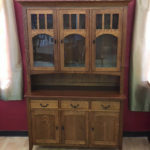 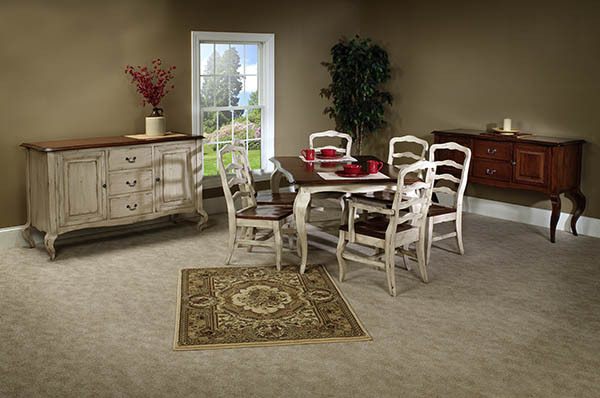 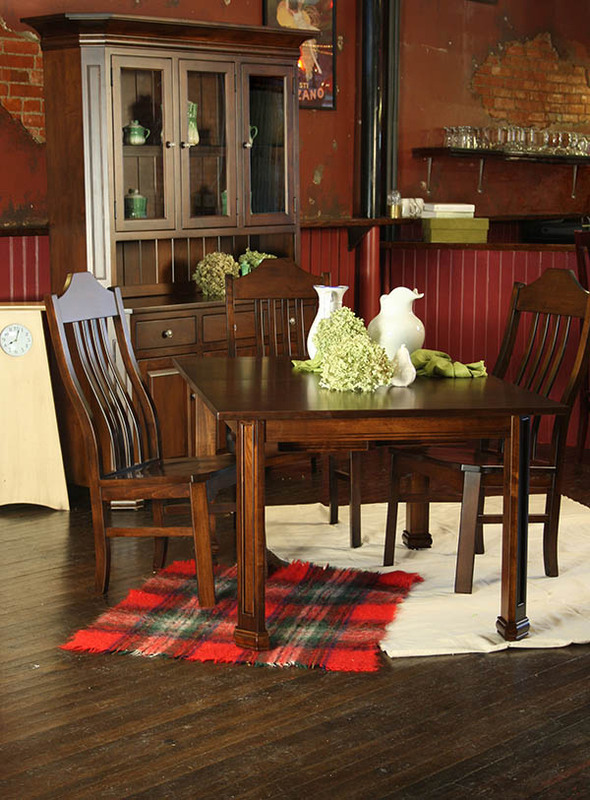 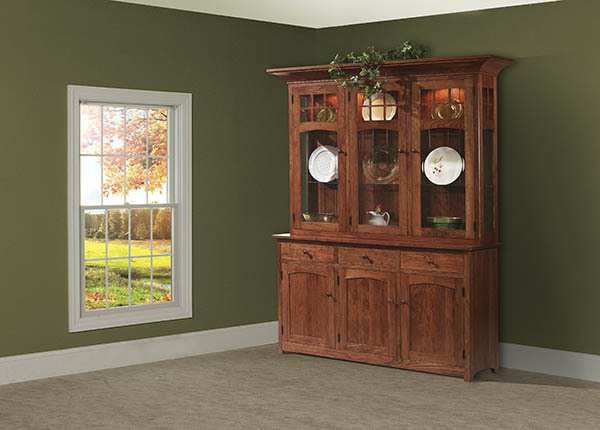 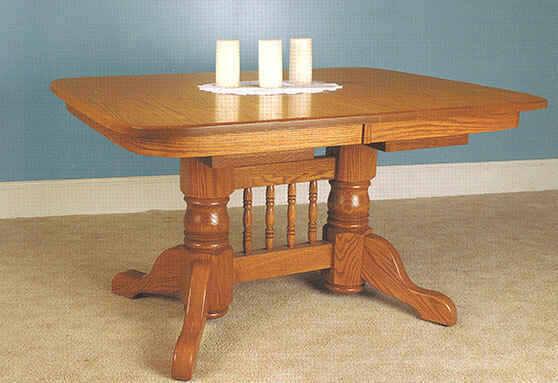 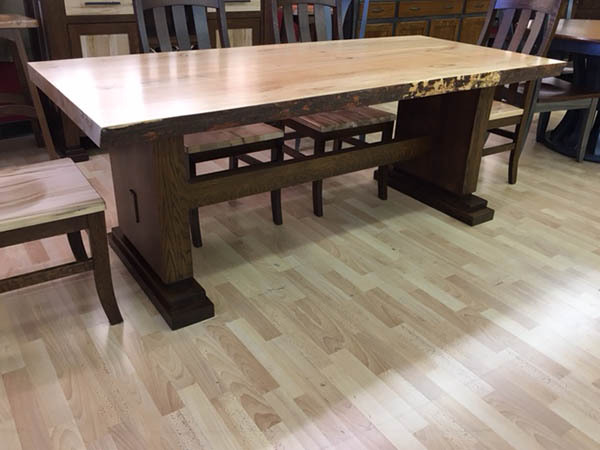 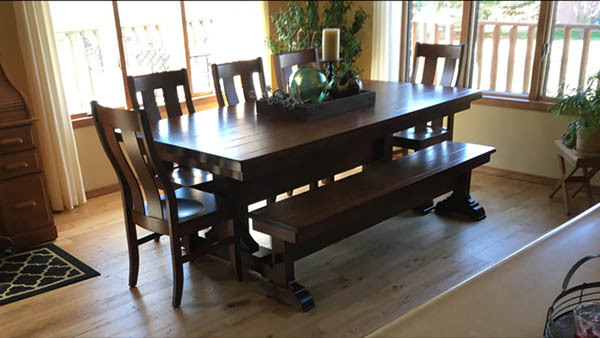 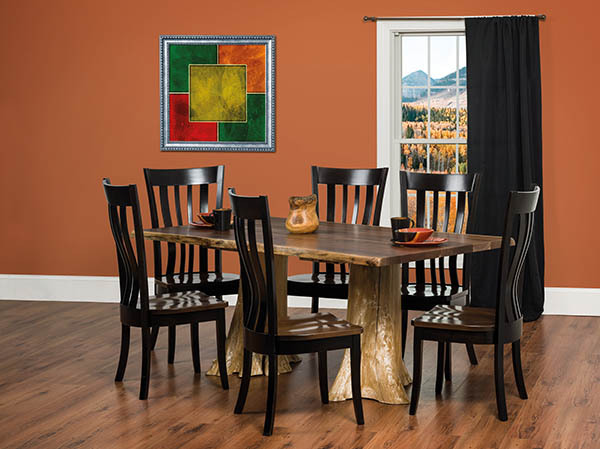 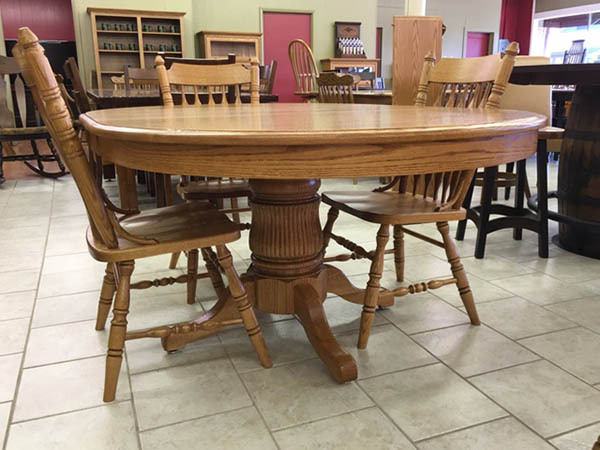 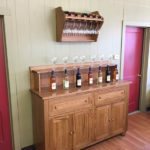 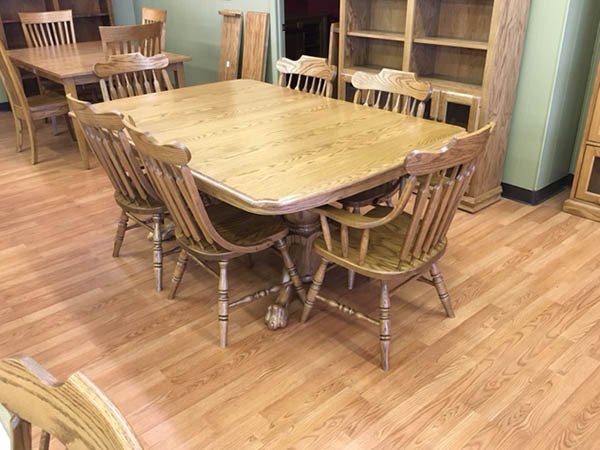 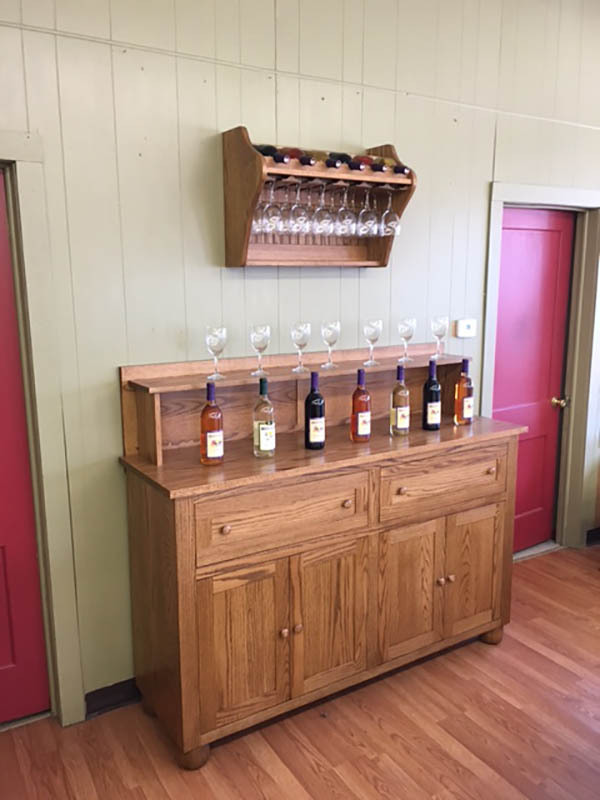 Every table has a minimum of a 1″ top, 1″ steambent apron, self storing leaves, gear driven slides for easy opening and like all our other furniture..it’s solid wood. 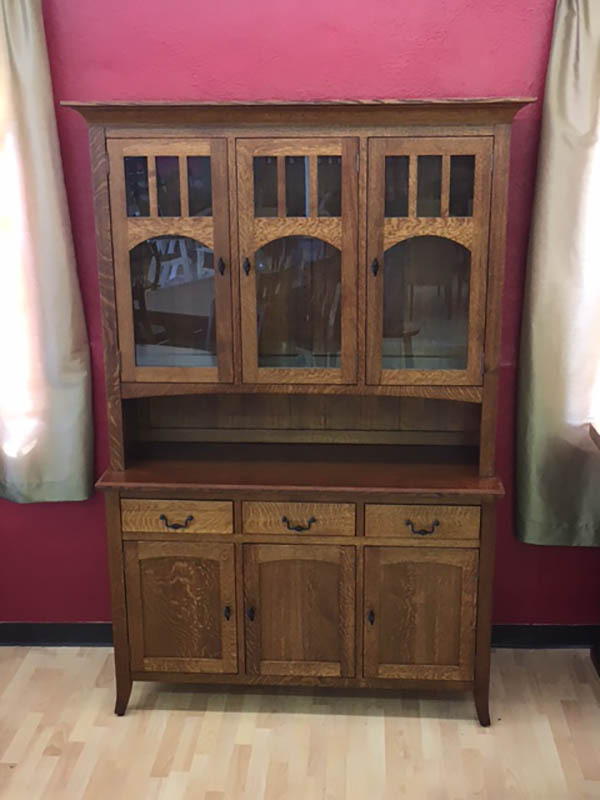 Other options include hutches, buffets, jelly cupboards, pie safes and more.